A FUSION OF modern electronica bathed in Middle Eastern influence could be the best way to describe the music of Kalya Scintilla—the alter ego of one Yaygon Lamagaia—but the imagery it inspires all but transcends known genres. Each song is a journey into reinterpretation and improvisation, ending up far from its starting point. The intricate electronic compositions are graced with psychedelic string sections that bring to mind gypsies playing under a starlit sky; Lamagaia creates a harmonious ground for world music fans and diehard electronic audiophiles to meet in peace. It’s no wonder, given the influences he cites. “Nature and her infinite beauty, sacred geometry, and the frequency of love,” Lamagaia says, adding that growing up in the wild Australian countryside has made nature a heavy influence on his musical process. Over his last several releases, Lamagaia’s compositional style reflected a development that came from discovering multilayered intricacies in himself and the world around him—developments that he’s mirrored in his art. 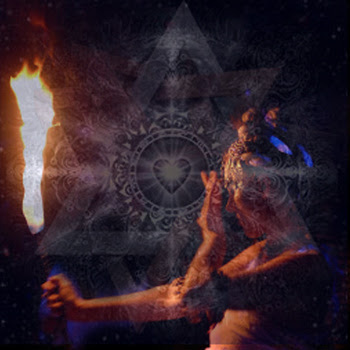 Kalya Scintilla’s live performances are “ever growing and evolving,” says Lamagaia, “to create a multilayered intentional journey that is never the same twice.” Gearing up for several more releases and a string of shows in the United States and South America—including one at Burning Man, of course—have kept him busy. When asked what he would be doing if not for music, Lamagaia describes a philosophy that values focused intention and being in the present moment. It’s an outlook that can plainly be heard within the mysticism of Kalya Scintilla’s music. Listen to Kalya Scintilla’s music here!